A major Wall Street credit rating agency weighed in on Connecticut’s school funding crisis this week, saying an overhaul would improve the credit standing of the state’s poorest cities. Moody’s Investors Service’s declaration of a “credit positive” for Hartford, Bridgeport and New Haven does not immediately improve their ratings. But it does recognize a development that could improve the cities’ outlook — and lower interest rates on municipal borrowing — in the future. Whether Connecticut will realign its education financing system remained very much in doubt this week after Attorney General George Jepsen announced the state would appeal a Superior Court ruling that the system was irrational and unconstitutional. Hartford Superior Court Judge Thomas G. Moukawsher did not mandate specific changes in education spending to the General Assembly in his decision last week, nor did he rule specifically on the Education Cost Sharing formula grant. 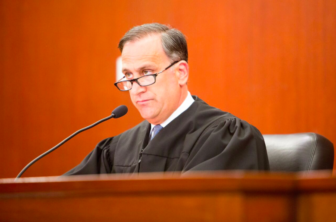 Rather the judge said the legislature’s approach to education funding — which frequently disregards the formula — is irrational and unconstitutional, failing to meet the needs of some of Connecticut’s poorest students. Moukawsher directed the legislature to submit a reform plan to the court within 180 days. If the lower court ruling holds, Moody’s wrote it believes funding levels in low-income communities would increase, and that it could happen in two ways. It noted that even a 50 percent reduction in education aid in some wealthy communities would result in an “absorbable” 4.4 percent decline in overall revenues. By comparison, Bridgeport, New Haven and Hartford have struggled financially for years. Their budget reserves range between 0.3 and 3.7 percent of their total revenues from the 2014-15 fiscal year, well below the state median reserve level of 12.9 percent. These three cities draw about half of their revenue from state and federal aid, and the bulk of that represents state education funding. These cities also “have less flexibility in raising property taxes due to weak wealth and income levels.” They nonetheless also have some of the highest property tax rates in the state.